It was just brought to my attention that the May 1st edition of the Rodeo News accidentally printed the schedule for the April rodeos in Panguitch, UT which were rescheduled to May. The next NSPRA rodeo will be 2 Timed Events and 2 Full Rodeos on May 17, 18, 19, and 20, 2017. Entries for all 4 rodeos will be taken on Thursday, May 4th. 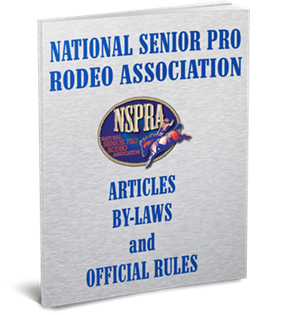 Welcome to the new National Senior Pro Rodeo Association website. We are still working out a few cyber issues with the Rodeo Results and Standings, but the Rodeo Schedule, the Approved Rodeos, and the Unofficial Results are all up to date and ready to go! Thank you so much for your patience during this transition.